No more are you limited to "General", "Workout day" and "Non-workout day" day types and "Maintenance", "Weight loss" and "Weight gain" diet types; you can now create your own day/diet types including their fully customizable caloric and macro-nutrient requirements! - Simple and effective, 4 step calculations with customisable settings which gives not just one result, but results for combinations of general, workout days and non-workout days with maintenance, weight loss and weight gain! - Select from a choice of different formulae: Simple, Cunningham and Harris Benedict! - Share your results on Facebook! 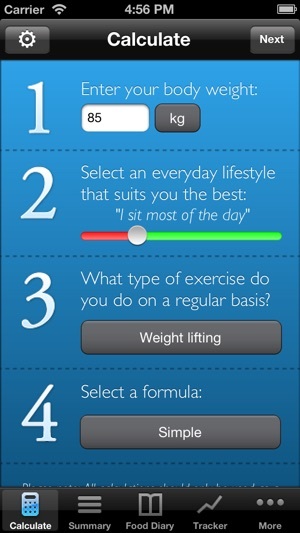 - Choose whether you want to use the calculations, or enter your own values for all combinations of general/workout/non-workout with maintenance/weight loss/weight gain days! 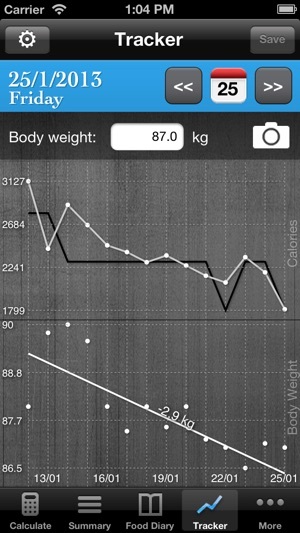 - View correct calorie values when entering manual calories and macronutrient values! - View a breakdown of your daily food intake and compare it directly to your calculated requirements, depending on the type of day you choose, for example: a workout day at maintenance, a non-workout day for weight gain, a general day for weight loss! - Your food database is completely offline, meaning virtually NO loading times when searching for foods! - Search our constantly growing online database of thousands of foods! Any food you select will be saved to your device so next time you won't need to search online! - Use the barcode scanner to quickly search for foods! - Quick and easy food entry: select from your favourite, recently added and most frequently added foods! 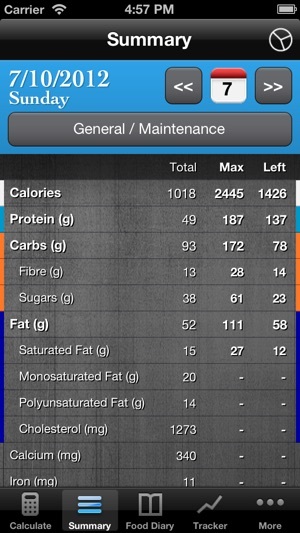 - View how many calories, grams of protein, carbohydrates and fats per food item directly from the main diary! - View the nutritional breakdown of entire meals in an easy to read pie chart and quickly create new meals or recipes! 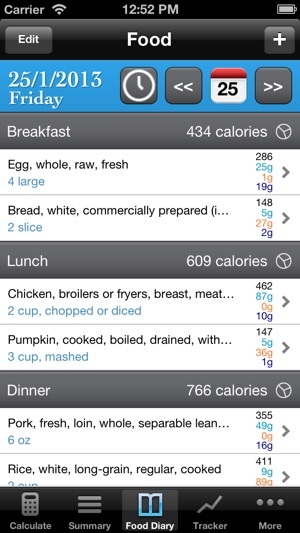 - Quickly add calories and macronutrient values to your food diary when you can't find the food you've eaten! You can edit/delete these entries later, give them names, and save them as custom foods! 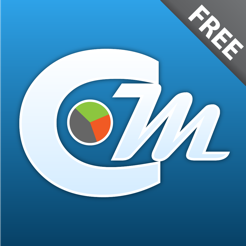 - Track your bodyweight daily and take progress pictures for each day! - Share your progress pictures on Facebook! - Compare your daily caloric or macronutrient intake to your body weight on the same graph! - Your daily caloric or macronutrient graph also shows your calculated requirement for each day depending on what you selected in the 'Summary' section, so you know how well you're following the calculations! - See how much weight you've lost/gained over a period of time! - Easily export your food diary and body weight data to CSV format, for use with spreadsheet software such as Microsoft Excel! - Create custom foods, meals and recipes, and add them easily into your diary! - Share your recipes and meals on Facebook! - Upload your custom foods so other users can download and rate their accuracy! - Create an account to use when uploading your custom foods! 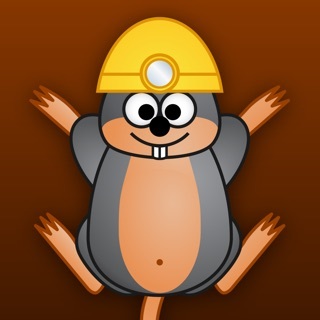 - Backup and restore all of your data! 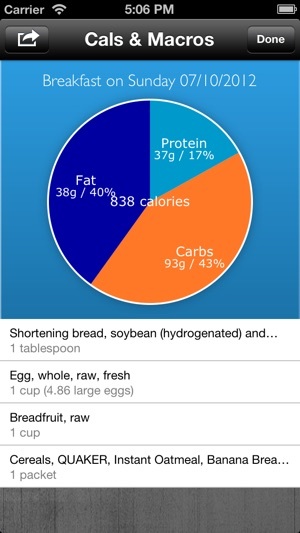 Such a good app for tracking macros! In my opinion better than others like my fitness pal etc as I've found their data to often be wrong when checked with packaging labels! This app allows you to input your own data easily straight from the packaging so it's correct! Love it!!! Food database just needs built up more but will happen over time. Exactly what I was looking for to begin tracking my macros! Replaces myfitnesspal for me. Would recommend to beginner macro counters. You can add your own meals in according to the packaging of the food which is really good. Worth downloading and easy to work out how to use it.